As the only Hotel of the Arts in the Midwest, our property is the essence of culture, class and amenities. Whether utilizing our Avant-Garde or Nouveau Meeting room with kitchenette, gathering up the workdays loose ends in our complimentary business center, watching your favorite program on our 42-inch flat panel TV, or sinking into our plush beds for a good nights rest in one of our City View rooms, the ambiance of our property provides guests with an experience, not just a stay. 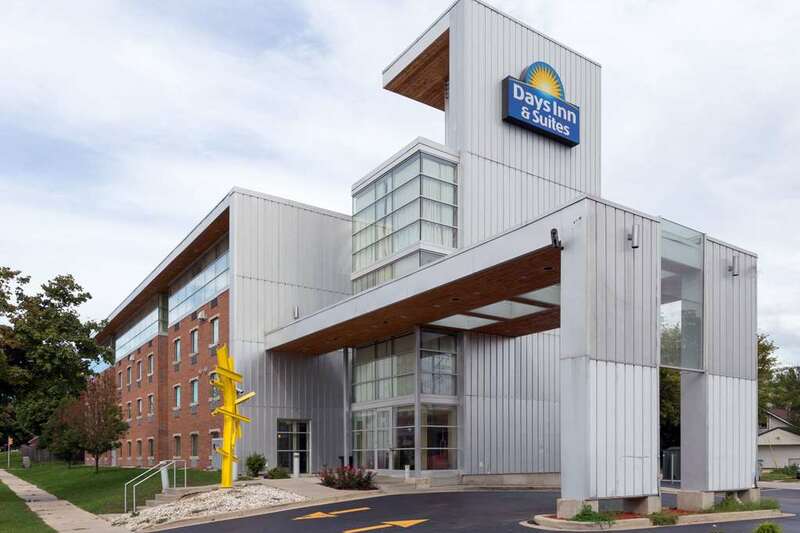 We are ideally located just off of the I-43 and minutes from numerous business and leisure destinations. Our property is all non-smoking and we are the only Downtown hotel to provide complimentary parking. Follow us on Twitter now - HotelOfTheArts. Airport shuttle - 10 USD per person, limited hours with surcharge. The hotel also offers free and unlimited shuttle service to the entire downtown area. Guest must be 21 years of age or older to check-in. Crib and iron upon request.